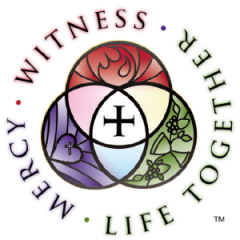 These phrases — Witness, Mercy, Life Together — illustrate how the church lives and works together to proclaim the Gospel and to provide for our brothers and sisters in Christ in our congregations, communities and throughout the world. And in all we do, Christ is at the center, leading us, sustaining us, keeping us focused on our mission. This will never change. for the poor, the weak, the lame.